It's HOT! It's "Cat on a Hot Tin Roof" hot! I went out for my morning walk at 6:45am and was drenched in about 10 minutes. Everyone is staying cool, pools are filled with laughing children, and cold chilled dessert treats are on the top of everyone's minds. What is the perfect pairing for these steamy days? 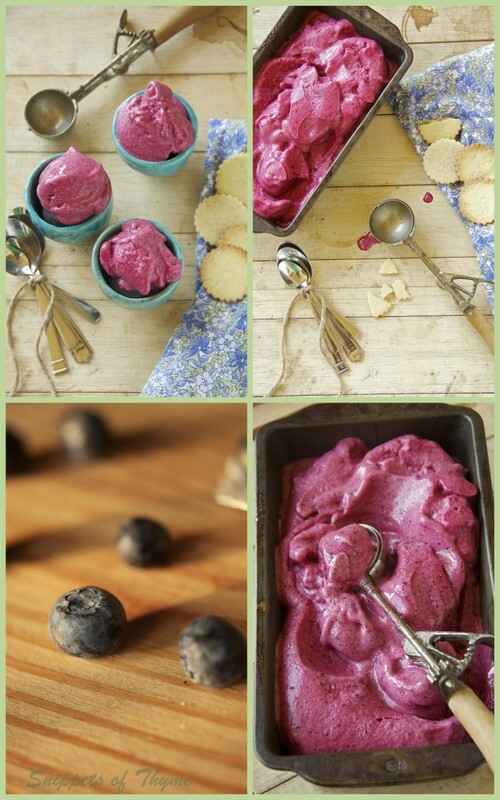 Chilly frozen sorbet and fresh middle of the summer berries. Patrick wanted an ice cream maker last year for his birthday. We decided to try it out for sorbet. 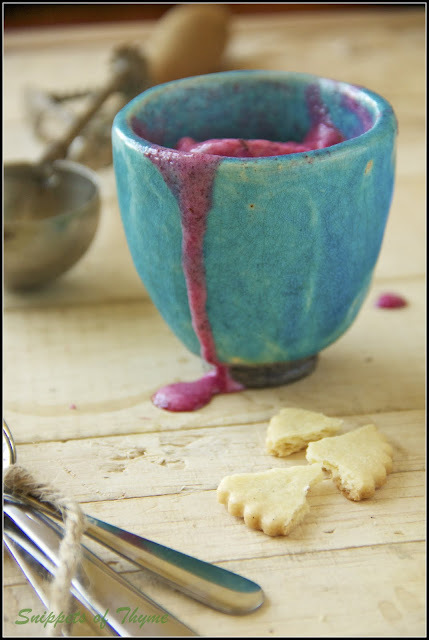 I must say, this recipe is deliciously satisfying and amazingly simple. 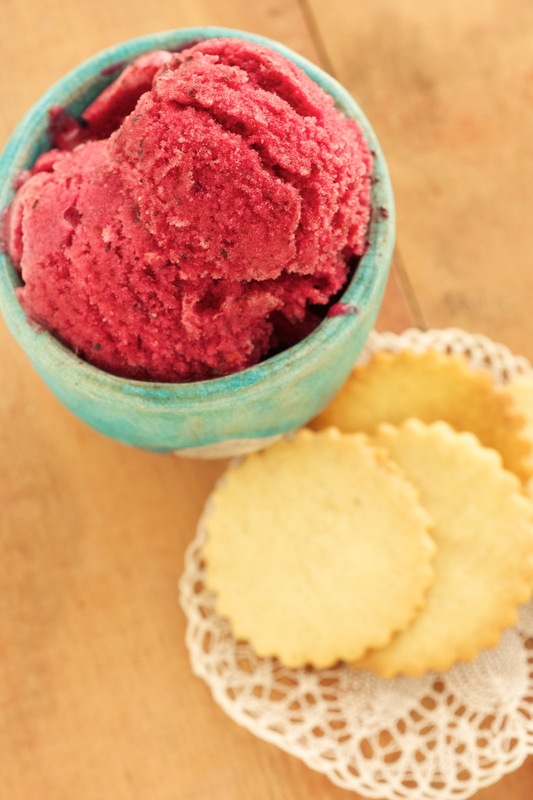 For some reason, I thought sorbet was more complicated to make but - it's NOT!! We are trying to beat the heat with healthy food options. Not reaching for ice cream every time we go out becomes difficult as it's so easy to reach for anything cold for a little burst of relief. 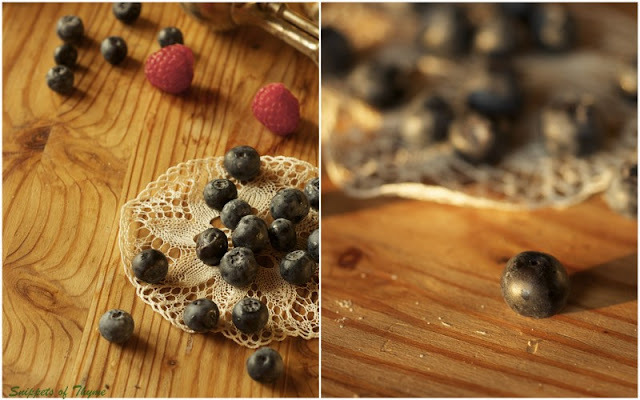 Berries are nature's candy. They are so beautiful. There are so many tarts, pies, and wonderful summer desserts to tick off the list of summer favorites. I even saw some homemade tasty berry fruit leather that looked like an interesting kitchen endeavor! Do you remember those shortbread cookies from a few days ago? Mmm. These sorbets couldn't have had a better partner than these buttery rich shortbread cookies. 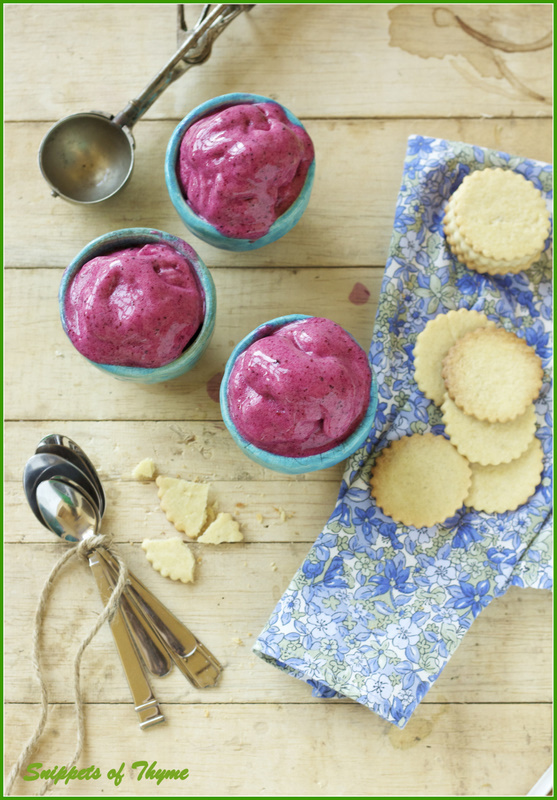 If you feel the need to add these delectables to your sorbet you can find the recipe here. I know. Shortbread isn't exactly healthy living is it? 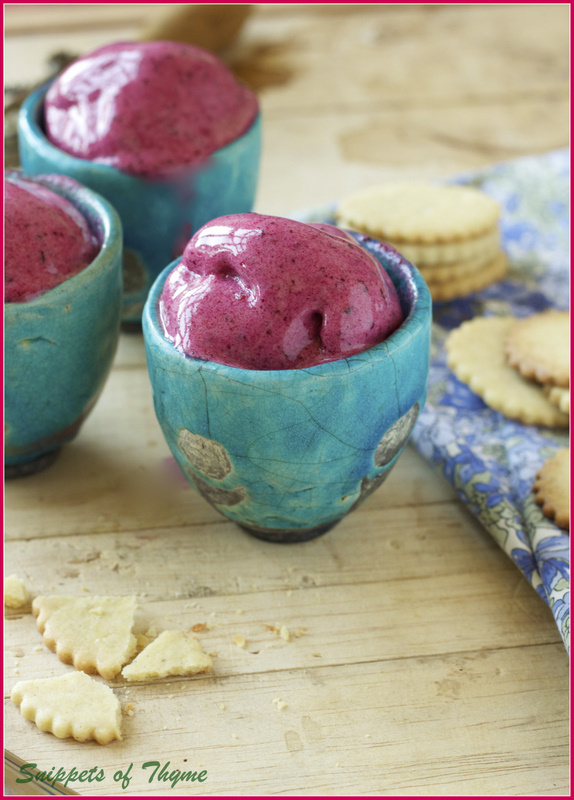 But, the way we justify it around here is that sorbet was a better option than ice cream! Yes...you're beginning to see this family's ...logic. Or, perhaps its heat stroke symptoms! An interesting note about this sublime mixed berry sorbet is that it doesn't last that long in the freezer. The tiny bit that was left in the container in the freezer became rather icy after a few days. "Oh dear, what to do!" you might exclaim? "No, no, no, don't worry too much" I say gently with a twinkle in my eye. "It just means another scoop for each person the first go round, of course." 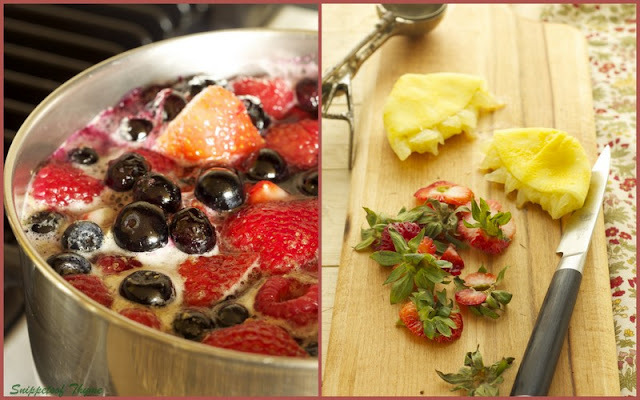 In a medium saucepan set over medium high heat, place the berries and the rest of the ingredients in a large pot and bring to a quick boil. Reduce the heat to low and simmer 10 minutes. Remove from the heat and let cool completely. 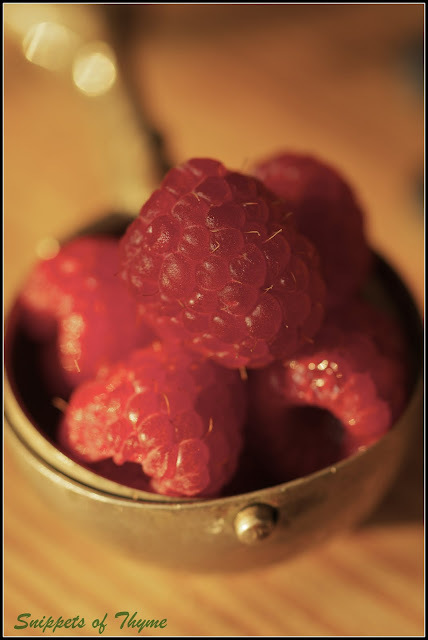 Puree until smooth in a blender or food processor and then strain through a fine mesh chinois (strainer). Process in your ice cream machine according to the manufacturer's instructions. I made my sorbet in the afternoon and we had to freeze it overnight for it to really set properly.